On a Par 3 ball golf course. Town Resident =$7/day; Non-Resident = $8/day (includes parking and other site amenities). 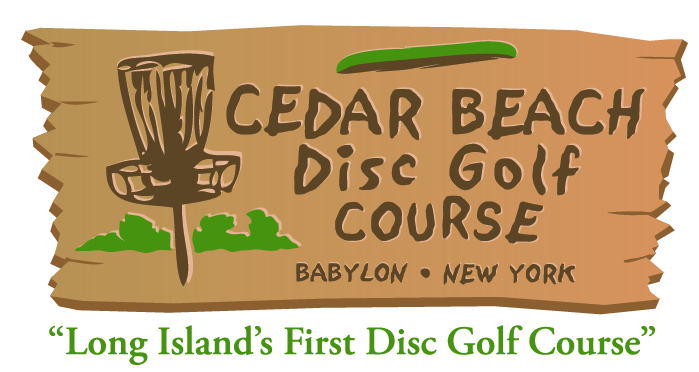 Disc golfers may play multiple rounds. Seasonal; late Apr. to Nov. Check with contact. 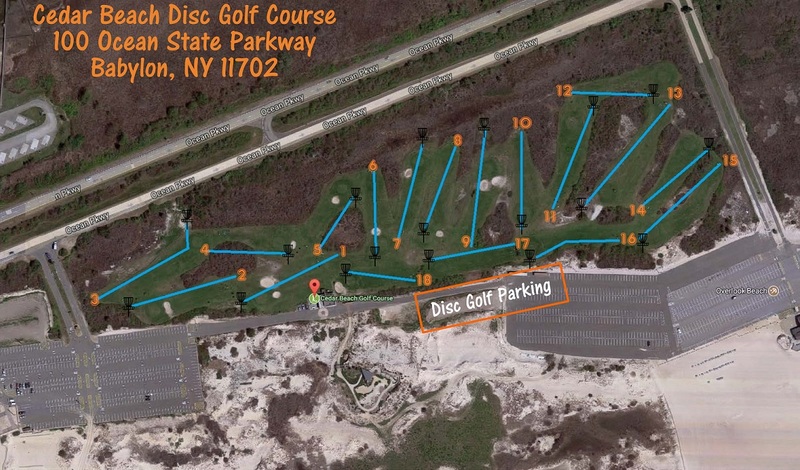 Must indicate "Disc Golf" at guard booth in order to obtain parking consideration. Disc golfers must follow all course rules and etiquette. Tees: do NOT use the ball golf mats. Tee from either the Gray Brick Rec tees near the mats or from the longer Black Brick Pro tees. On Ocean Pkwy between Robert Moses Causeway and Wantagh Pkwy (Jones Beach). Use Wantagh Pkwy to Ocean Pkwy to beach. From NYC; Long Island Expressway (Rte. 495) east to Northern State east to Meadowbrook Pkwy south towards Jones Beach. Meadowbrook becomes Ocean Parkway and turns east. Go past large water tower, 8 miles to Cedar Beach on the right. Fun par 3 course to play on a visit to the beach. It is built on a pitch and putt par 3 golf course, and you're basically playing the same setup. Fairly open, but beware of the poison ivy! On the ocean, it can get very windy as well, making the fairly wide fairways seem narrow when surrounded by the tough shrubbery (and poison ivy). If you're wearing beach clothes, be prepared to lose a disc or two.